Judge Posner, who sits on the 7th U.S. Circuit Court of Appeals in Chicago, made headlines early last month when he threw out the entire Apple/Motorola case. He recently spoke with Reuters about the case and the patent system as it applies to today’s devices and his opinions may surprise you. 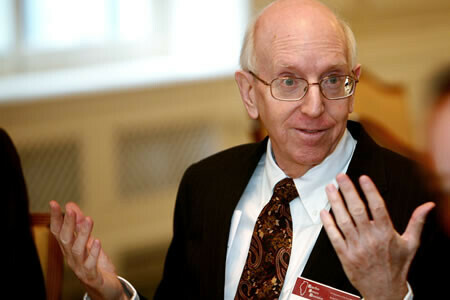 Posner, who is now 73 years old, has been a federal appeals court judge since 1981. In that time he has written dozens of book and also teaches at the University of Chicago. Interestingly, when it comes to the Apple/Motorola case, Judge Posner did not get involved by luck of the draw, rather he specifically volunteered to oversee it. When taking over the case, Posner described himself as “really neutral.” He said he had previously used a court-issued BlackBerry and recently upgraded to an iPhone, but only used it to call his wife and check his email. "I'm not actually that interested in becoming part of the smartphone generation," he said. Posner described the technology industry as a “constant struggle for survival.” He likened their use of the patent litigation to that of jungle life. He said, “The animals will use all the means at their disposal, all their teeth and claws that are permitted by the ecosystem.” On the same token, Posner said these companies should not be blamed for seeking litigation because they are simply taking the opportunities that our system allows. Posner feels that system is better suited for other industries. For example, the pharmaceutical industry has to invest an incredibly high amount of money to invent a successful drug; therefore he feels they have a better claim to intellectual property rights. On the flip side, innovations in the software industry cost significantly less and he says the company would still retain its first to market benefit without a patent. He also points out that in today’s devices, there are thousands of features and each one has its own patent protected by the law. "It's not clear that we really need patents in most industries," Posner said. 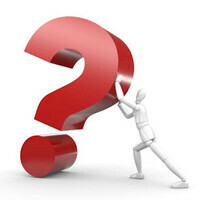 "You just have this proliferation of patents. It's a problem." That is essentially the philosophy he used when throwing out the Apple/Motorola case. He did not agree with the idea of banning a device over a patent on one feature because, ultimately, the consumers are the ones that receive the most harm. Posner also prevented Motorola from pursuing a ban against the iPhone because Motorola has previously licensed those same patents to other companies in an attempt to make them industry standards. At the end of the day, even though Posner was looking forward to this case, he felt his only choice was to throw it out. "I didn't think I could have a trial just for fun," he said. This man...Faith in humanity restored! Apple should hire this man as their CEO. Judge Posner is by far IMO the best judge to give neutral perspectives on both sides like he said "He did not agree with the idea of banning a device over a patent on one feature because, ultimately, the consumers are the ones that receive the most harm." Bravo Judge Posner. really.. it wasnt more than 5 months ago when posner was said to be a terrible judge and that he couldnt possibly decide tech stuff since he is a lawyer.. I wonder if judge Koh is paying attention? She should be! do you smell the that Posner is cooking ? Some of the patents seem rather trivial to me. Apple has a patent where if you tap a phone number in an email, it will dial the number. This seems very trivial. There has already been features where you tap or select some object in an email and it launches that link. You've seen that for URLs, Word documents, Excel documents and such already and yet doing the same for making a phone call is supposed to have a lot of R&D behind it? That's what copyright is for. You can create something new, like say Photoshop back in the day. Some puts together a collection of tools for manipulating photos, maybe a few special widgets in there, packages it and sells it as a suite. Now that doesn't preclude someone else from makiig something similar. They can put together a suite, call it something else, and sell it. Now as long as it doesn't look the same, or isn't called Photoshop or made to look like Adobe made it, then there'd probably be no infringement. At that point, both software suites are in the market, and stand on their merits and people will buy what suits their needs, or is the better suite. What's protected is the expression, or implementation of the idea. The idea itself isn't locked up to prevent someone else from using it. Likewise, copyright protects Apple from Google or Microsoft from ripping of the look of the OS, but it shouldn't preclude them from basic functionality, like searching, storing contacts, etc. Now if something were truly unique, and not basic funcationality, such as a special algorithm for cutting processing, or a proprietary file format, there could be a case for patenting that specific implementation of it, but the general idea of creating a competing format that does something similar in a different way would not be prohibited. That's where I think things are getting screwed up - Apple is using patents to preclude the whole concept of something, not just a specific implementation. Ha ha, you guys misunderstand me. What I mean is "slide to unlock" or "data tapping" are gabage and should never be granted patents in the 1st place. But I really think stuffs like algorithms are patentable. Well, then you need to take a look at Apple. Apple has been huge on ripping stuff off and improving on it. Even Steve Jobs himself said he shamelessly did such things. That said, the concept of the smartphone had been around for quite awhile between Blackberry, Symbian, and Microsoft. One can argue the merits of how good their implementation was, but none of the companies precluded any others from trying. Apple saw an opportunity to improve smartphones, created the iPhone, and sold it. They didn't invent anything really new - they just improved what was already out there. Even Microsoft was first to market with the tablet concept in 2002-2003. It didn't sell then. Apple took the idea much later on, put their spin on it, and created the iPad. No one saw MS complaining and suing them because Apple ripped off their idea. So if you're going to say Google shouldn't piggyback, take a look at Apple and what they've done before slamming other companies.. Watching what others made, taking it and adding your own sprinkles withh big marketing us exactly how the iPhone came to be. 1. Apple is guilty of stealing UI concepts as well. Their notification center is a blatant rip-off of Android's. 2. Slide to unlock is not a "feature." It's a very basic UI concept. It does not sell phones. 3. There are other ways to unlock a touch screen, but, evidently, Apple has a patent over any type of gesture used to unlock. The patents are very broad. Last time i checked, Google's notification bar was still patent pending so Google can't do anything about it for now. You're missing the point. The whole point of patents is to protect innovation. Patented ideas are supposed to be new, non-obvious and original. Slide to unlock does not meet that criteria, because it existed on the Neonode N1m prior to the iPhone. The patent should not have ever been granted. Apple stole the idea themselves. Then you get into the other areas of Apple's patents - they file when they have the idea, without ever actually working on it, they make the patent overly broad, so as to cover ANY similar idea. They actually stated in court that "Slide to Unlock" covers tapping an unlock icon, because a tap is just a zero length slide. Then, these overly broad patents often fail the non-obvious test. The patent system is severely flawed, and Apple are taking advantage of the flaws to block competition. Competition which has flown past them like they were standing still. @ Gemmol Sorry about the thumbs up. Tried 2 hit the thumbs down. But was using a POS iphone. Ummm same judge who opposed the att t T-Mobile deal. One more reason to love the guy!